They’re often the first step in people’s health enlightenment. Along with a gym membership, maybe. Or a pedometer. But there are a lot of people for whom a multivitamin is it. No other supplements, diet change or exercise. That’s all they’re willing to do. They couldn’t quit smoking, so they’ll take a multi instead. Or their spouse is on them to get healthy. Good for them. You’re not them. But seriously, if you’re taking an adult gummy vitamin, stop it. Just stop it. Is there one multi or supplement pill that has it all? You want a good multi so you don’t have to take so many pills. You may even take an Omega-3. You may be considering taking Vitamin D3 or a probiotic. This is when the hunt for a good multi heats up. I get a lot of questions about which multi to choose. I don’t like multis and I don’t take one. But, if your doctor wants you to take a multi, take it…there is no need for discussion. Many multis have beta-carotene as a Vitamin A source. Beta-carotene is not Vitamin A but a precursor to it. Some people convert it to Vitamin A and some don’t. Severe Vitamin A deficiency is rare in America, but it is very common in developing countries and causes night blindness. Just because things aren’t that bad here does not mean things are peachy. Since we stopped eating egg yolks, butter, liver, and animal fats in the 70s and 80s, we have collectively been consuming a lot less retinol Vitamin A. Mass market multis are hopeless sources of Vitamin A. Eat the foods listed above. If you don’t eat liver, take 10,000 IU of preformed Vitamin A from a product like this. 10,000 IU is not too much assuming you get plenty of sun exposure or take Vitamin D3 too. Keep in mind that disease-free cultures like pre-westernized Inuits used to consume between 30,000 and 40,000 IU of retinol Vitamin A daily. People are unnecessarily worried about Vitamin A toxicity…something that happens usually when you’re Vitamin D deficient. If you have enough Vitamin D, the toxicity level of Vitamin A is about 200,000 IU per day. What I do for the kids: we blend in grass-fed beef or bison liver with hamburger meat. No one’s the wiser. I also get them this liver + beef snack from Epic. It’s actually pretty good. Multis have folic acid. Multis should have FOLATE, the metabolic active form of folic acid. We were all told that pregnant women need folic acid. Folic acid in multis is synthetic and needs to go through five different enzymatic conversions before it becomes folate. This conversion declines as we age. Even if you’re not pregnant, folic acid must be converted to folate before it can reduce homocysteine, a risk factor for poor heart health. There are implications for mood disorders too, as folate is required in processing brain neurotransmitters. The folic acid in your multi may not be doing much for you. B-Right is my preferred source of folic acid. Most multis have very low levels of D3. Some even have the poorly-absorbed D2 form. Get your blood level tested and supplement to get up to optimal levels. If you’re dark skinned or pregnant, you will need more than what most multis or prenatals provide. Taking Vitamin D without A and K2 is a bad idea. Vitamin K2 is absent in most multis. Some ‘health food’ multi brands now have K2 in the MK-7 form. That’s nice, but what you really need is MK-4. Want K2? Eat dairy fat from cows that recently ate rapidly growing green grass. Or eat european hard cheeses and pastured egg yolks. If you’re pregnant, MK-4 is essential and MK-7 may be useless for the baby’s development. Strangely, I’ve yet to see a prenatal that contains MK-4 form of K2. It is critical for the baby’s bone and skull development. And virtually every pregnant mother is deficient. In retrospect, I’m really glad my vegetarian wife developed a pregnancy craving for meat and european hard cheeses. Most multis have K1, a nutrient that is almost impossible to become deficient in because it is recycled by the body. It does not help that the FDA and the Institute of Medicine are decades behind and have not established a formal daily value for K2. This is a good liquid form for kids. Our sister brand (InnovixLabs) makes this. There is a trend here that some of you may have noticed. Three of the 4 nutrients discussed so far are fat-soluble vitamins. Nutrients that we all began going deficient in when we started avoiding fats and meats. None of the mass market multis have enough magnesium. Centrum has 50 mg (13%) of Daily Value as magnesium oxide. Perfect example of wrong quantity and wrong type. One A Day has 140 mg (35%) as magnesium oxide. No wonder we are cranky, sleepless, and anxious. This is one nutrient that I think all of us need to supplement. Magnesium oxide is close to useless. You might as well swallow a pebble. Sadly, it is found in all the biggest-selling multis and magnesium supplements. Magnesium citrate is a little better. But you’re best served by far better absorbed forms like glycinate, malate, threonate, lysinate. All the well-absorbed forms are fluffy and light – so you’ll need a lot pills to get 600 mg a day. Powdered magnesium glycinate – nice to blend into your smoothie or beverage for kids. In the meantime, 90% of pregnant women are deficient in choline. Where do you get choline? Yup – meats, egg yolks, and animal products. All things the government told us to avoid. Then there’s Vitamin E. Vitamin E is actually a complex of 4 tocopherols and 4 tocotrieneols. What you find in multis is the synthetic version of one of the tocopherols. I’ve yet to see a multi with all eight Es. In the meantime, try this supplement. Most multis have B12 in the cyanocobalamin form. It should be in the methylcobalamin form. These are some (but not all) of the reasons why I don’t take a multivitamin. There are other reasons, but I think you get the drift. Oh, but the multi I get at Whole Foods has food-based synergistic cofactors! Some are a little better. I’ll give you that. Some of them have B12 as methylcobalamin. Some throw in the wrong kind of K2. They have natural Vit E.
But for the most part, health food multis make you feel special by throwing in ‘proprietary blends’ of antioxidants or fruit and veggies extracts or intangible mumbo jumbo blends. The purpose of these blends is to separate one product from another on the shelf. Holier-than-thou health food store multis also have long lists of things they do not contain, starting with gluten. Not having gluten is great. But the internet has made false demons out of things like magnesium stearate and ascorbyl palmitate. Mag stearate phobia is not based on science, but fools fan the fears. Take another look at egg yolks and liver. They’re nature’s multivitamins. If you’re not OK with liver and organ meats, you need supplements. Go back to colorful berries. Fresh seafood and leafy greens. Locally grown fruits and nuts. Go back to butter. Maybe, just maybe, eat your liver and eggs in the midday sun in the backyard. Naked. You make Vitamin D for free and the neighbors move out in a hurry. It’s a win-win. I know. Brilliant. Vin – really great article this month. Thanks! Is dry vitamin A – Retinyl Palmitate OK? It does not have any soybean oil or other O-6 oils which most gelcaps have. Does Innovix have any plans to offer a comprehensive B-complex with all the right forms? Hi Mike – dry retinyl palmitate is OK…but just make sure you don’t take too much. This is easy to do with dry powders of fat-soluble vitamins. We’re getting a lot of requests for a high-quality B-complex. If we do make one, it won’t be ready until 2016 or later. Great article Vin, what a wealth of helpful info, humor is always good medicine (Proverbs 17:22) had to chuckle over eating your eggs & liver in the midday sun ! I was reading your thoughts on fish oil and have learned a lot, so thank you. I am wondering what you think of this brand’s ingredients since I do need a multi ( I am a runner and don’t always eat correctly etc). I appreciate any help you can give me. There are so many brands available that I get lost and confused. Hi Lily – this product makes many of the classic mistakes that I talk about. Since you’re a runner, you’ll need to make sure you’ve got enough potassium, magnesium, sodium, and calcium. Mostly the first two. Running is better than sitting on the couch. But there are many other exercises that are better for you. Consider one of the high intensity interval training choices. Combine different forms of activity – hiking, sprinting, swimming, yoga, and crossfit. And, yes, occasional running. If you’re short on time and don’t want to put thought into it, take the multi and supplement with potassium and magnesium. I loved reading your article. I am now more confused about what I should be taking. I currently take all of the wrong things. I take a one a day, magnesium and fish oil. I am 43 years old and do moderate exercise. Would you say that I need to take everything that is in a multi vitamin, just in more natural forms, or if I take the vitamins listed above I should be good? Also, at my age, do I still need to be taking Folate? Hi Lori – sorry, I wasn’t trying to confuse people! 🙂 It’s just that I constantly get asked what multi I take and which one I recommend. I don’t take a multi (obviously) and if you must have a multi, at least now you are armed with some information to go out and find a BETTER multi. I think you can certainly do better than One A Day multi. Both magnesium and fish oil are probably good ideas for most people – may be you could move up the quality chain. Ideally, get everything from your diet, but that’s not very helpful for most people. I have 30 bottles of supplements in the medicine cabinet but only take them if my diet is lacking. Examples: if I eat liver or a lot of eggs, I might ease up on the trace minerals and Vitamin A. I don’t take D3 in the summer time when I’m tanned. I don’t take Omega-3 if I eat salmon. I eat more fruits in the summer, so I skip Vit C. It’s hard to get enough magnesium and Vit K2, so I take those most days. I don’t think normal people need or want 30 bottles of pills…and I certainly don’t expect you or anyone to do that. There is no one formula that works for anyone because of where your current health, diet and lifestyle is could be drastically different from someone else. Folate is necessary at ALL ages. Thank you for the reply. I will take your advice and buy the magnesium you posted. I do need the multi as I don’t eat like I should. I have never taken a separate magnesium supplement, can you tell me when best to take them? Should I take them in the am with my multi or alone and when? Hi Lily – makes no difference when you take magnesium, but many people take it at night, claiming it relaxes them and gives them better sleep. Aim for 400 mg Magnesium per day. A little off topic here, but is there a disadvantage in terms of absorption at all when it comes to enteric coating? I was searching online and it seems like most companies do not use it. http://www.nutrigold.com/blog/to-coat-or-not-to-coat-the-case-against-entericcoating-of-fish-oil-softgels/ For example. Lovaza doesn’t use it either. I don’t have a problem with burping. My only concern is potency and bio-availability. Thanks so much! Hi Ken – the standard doubt that is planted (usually by marketers) is that Omega-3s will not absorb well when enteric coated. But the human body is so adept at absorbing fats that skipping the stomach and going straight to the intestines with enteric coating will not cause a measurable reduction in absorption. Is there a fat soluble vitamin complex (D K A E) that you know of? If not have you considered making one with the forms people should be taking? Hi John – Nutricology D3 Complete is the closest thing, but the formula needs tweaking. Not enough A, D, and E for my needs. and it is missing the MK-4 type of K2. More D than I need in the Summer and not enough in the winter. It’s a one-size-fits-all formula but one-size-fits-all doesn’t work with supplements. But I have to give Nutricology kudos for recognizing that people need fat-soluble vitamins. Sadly, these combo formulas rarely sell and are always at risk of discontinuation. Do you have any opinion on the “threonate” version of magnesium that you mention? I have seen it claimed that it is the only version that crosses the blood brain barrier. Does this make it superior? Or does it even matter? Is it a case of just “pick one” out of glycinate, malate, threonate, and lysinate? Thanks Vin. I actually spent time today researching and ended up buying the Innovix over a Pure Encapsulations threonate. Looking forward to it! What a great blog, so glad to find you. I’m geek enough to enjoy trying to find a way through the technical/medical language, but what a joy to not have to, and have things laid out so clearly, simply, and with truly great writing. Already started taking your advice and reexamining the various vitamins and supplements around the house. After having a big LAD heart attack a few years ago, I’ve been enjoying your columns on cholesterol, really eye-opening. I’d really gone astray on diet for so long, despite being relatively in shape. No red meat or eggs, but lots of baked goods! Live and learn (if one is lucky enough to). Thanks, looking forward to the next one and catching up on the archives. Kind of a dumb question, but was wondering if the triglycerides form of fish oil actually have any negative effects on my cholesterol/triglycerides levels at all, or would it essentially be the same as the esters form (meaning it has no negative side effects|I’m finishing off my last bottle of Nordic Naturals and the name “triglycerides form” scared me a bit due to a history of high triglycerides)? Thanks! Hi Robert – triglyceride form and ethyl ester form of fish oil have the same health impact on the body. The only minor difference is how the body metabolizes them. The ‘triglyceride form’ of Omega-3 has nothing to do with the triglycerides floating around in your blood, which is mostly a result of what you eat. You also need at least 400 mg of Magnesium per day, preferably in the malate, bisglycinate, threonate forms. Citrate is OK, but oxide is not. Thanks, this has been helpful, it started me into doing some further review. The folic acid has been the most concerning. So overused especially for someone eating reasonably healthy most of the time. I generally took the multi for the minerals anyway and extra vitamins like b complex, D3 and vit C.
Any chance you could follow this up on the mineral side post? I have not had much luck finding a multi mineral yet. Would be nice to have something basic then add a few extras if desired. What happened to the Innovix Magnesium on Amazon? I went to re-order and its unavailable. Hi John – we’re sold out! Really sorry about that. I’m told we blew threw 6 months’ worth of products in just under 2 months. We are scrambling to get it back in stock. It will be available in early September. Again, our apologies. Thanks Vin. I will keep an eye out and double order this next time! Any reason to not take all of this together in one sitting each morning? (The daily serving of Zinc is two capsules so I take another sometime later and maybe another Omegavia later as well). I just want to make sure that none of that interferes with any of the other items or I should be spacing out supplements. Thanks! Hi John – I don’t see any potential issues with interactions. All the oils and fat soluble vitamins will work well together. I’d test your Vit D levels and see if you can get your level boosted with sunlight during the summer. Go to D3 supplements in Winter and Spring. This is just me – I’d double the eggs and nix the milk. If you’re stressed or are not sleeping well, I’d increase the Magnesium. Or may be take it before bed time. As always, everything is better coming from foods instead of pills. Hi Melanie – we haven’t been sending out newsletter for a few months now. We’ll post a sign-up form on the blog pages soon, so you can get our blogs automatically. Thanks. I have elevated levels of triglycerides, around 350, which is not very high. I am also taking statins for LDL (around 150). I understand that while DHA is important it also raises LDL, which makes EPA 500 the better choice for people with triglycerides above 500. How about someone like me who has high but not very high triglyceride levels, and also takes statins? Should I take EPA 500 or the regular one, or should I completely avoid fish oil and bring my levels down through exercise and diet (I am in late 30s)? Also, what would be the daily recommended dose for me? Hi Raz – if you have the discipline to reduce your very high triglycerides with diet and exercise, then, by all means, do it! If you decide to supplement as well, try the regular OmegaVia at 3 pills a day in combination with a healthy diet and exercise plan. A couple of things that I forgot to ask in my previous post: what’s the expiry date of these supplements? If I order 4 or 5 bottles that can last 6 to 7 months, is there a chance they will turn rancid? In the FAQ section for EPA 500, it is mentioned that the gelatin is both kosher and halal. What about the gelatin used in omegavia fish oil? Hi Raz – the expiration dates are usually 2-3 years away. There won’t be any issue with rancidity. The gelatin in OmegaVia is from fish, so yes, it is certainly both kosher and halal. There are no non-fish animal ingredients in OmegaVia. Bravo Vin! Love your writing style and informative (and witty) delivery. I’ve just placed an order for your O3 capsules and can’t wait to get started. I have been taking FCLO for a couple of years now (with no ill affects) and definitely took heed of your comments on Chris Kresser’s recent article. Thanks for this wonderful resource and keep up the great work! Thank you, Mrs D. Oh, yes, the Chris Kresser post – I was sorely disappointed that Chris did not take a stronger stance on this. But I’m glad that you were happy with FCLO while using it. I think there are better sources of Vits A, D, and K2 besides FCLO. Hi Vin, just out of curiosity… why is there both an Omegavia brand Omega 3 and Innovix? I was thinking both were your company? And I am very interested in your probiotics, but notice Innovix has two types now. Are you going to do a blog post on the pros / cons of either / both? And maybe a “what’s new” or “upcoming supplements” post? Seems I randomly find new Innovix products on Amazon (like Circumin) that I had no idea you made. Yes, InnovixLabs has two probiotics (and possibly more on the way) – one is a full-spectrum product with a LOT of different strains of probiotics. The second one (and I will probably write a blog about it) is based on a proprietary formula developed and extensively studied by Institut Rosell/Lallemand for mood. We actually buy the formula directly from them. It is the exact same formula used in two positive, published clinical studies. It’s the first commercial probiotic formula to have that degree of scientific support in the mood area. Stay tuned – lots more to come. Great, thanks! I went ahead and got some of the Curcumin when I ordered the (now back in stock!) magnesium. Should I take two Curcumin in the morning with the rest of my vitamins and breakfast of eggs and raw milk, or take the second Curcumin pill later in the day? I know it has a time release already….. And would it interfere with sleep at all if taken later? Or help sleep? Hi John – I’d take the two curcumin pills in the morning with food and your other pills. The bioperine in the curcumin may help increase the absorption of the other nutrients as well. I have not heard about curcumin disturbing sleep…or helping it. The magnesium will help with relaxation and sleep. The Glycine in the mangesium glycinate will also help a little with relaxation and sleep. If sleep is an issue, try some lifestyle/diet stuff first: walk 10,000 steps a day outside during sunlight hours and without shades, no TV/screen time after sunset, wear blue-blocking uvex glasses, no alcohol before bedtime, no caffeine after morning, if your mind is racing (monkey brain), then consider yoga during the day and guided meditation in the evening. Lots of other tips but start here. Hi Lori – the Innovix magnesium item should be back in stock at Amazon in the next day or two. But if you’re in a rush, try Dr. Best (good value) or Jigsaw health (good pill size). I have a 2 year old with a suspected fish allergy and I am worried about his omega 3 intake. I do feed him grass-feed milk/eggs with increased omega 3 on the label. Would you recommend taking Nordic Naturals Algae Omega? If so, do you have any opinions on the appropriate dose? Also, any thoughts on adding a magnesium supplement? Your best bet for adding magnesium is with small doses of powdered magnesium like Natural Calm into drinking water. Too much can cause a laxative effect, so work with your pediatrician if in doubt. this is a very bad choice? HI Eugene – Nutrigold makes good products. You know my opinions on multivitamins, but if you MUST take a multi, this one is OK. Much, much better than the mass market brands like Centrum and One-A-Day. Another question, please: Should i store OmegaVia & Innovix Omega 7 in the fridge? during the multi-day delivery nothing will happen? i read “the capsules is not terrible temperature, because there is no oxygen” is this true? Hi Eugene – you do not need to store either product in the fridge. No need for concerns during shipping. Hi Bao – get your choline from egg yolks. I suggest you talk to her OB/GYN about taking it in supplement form. Can you recommend any vitamin supplements for children? My kids can’t swallow pills yet and it really needs to be something chewable. Hi Lori – I can’t think of a single product that is really good. Sorry. If I were to concoct something for kids, it’d be half a dozen different products…even then it’d be insufficient. Hi vin, you said, ” taking Vitamin D without A and K2 is a bad idea,” but i am severe deficient of vitamin D and it is 3ng/ml only. My doc.prescribed me calcium with vitamin D (tayo 60k) and some multivitamin capsules. I am on these pills for the last three months and not very much happy with the results. Besides this, i am taking fish oil (ocean blue) without consulting doctor now everything seems to be going wrong. Should i take vitamin A alongwith vitamin D? Hi Babli – if you’re under a doctor’s care, he or she should be directing you on everything, not me. However, if your D level is 3 ng/ml, you have a serious problem. I’d be shocked if 60,000 IU D3 tablets don’t raise those levels quickly. Permanently staying at that dose without A and K2 is not a good idea. wondering what your reading and understanding would be in regards to supplementing with k2.My cardiologist has not commented on it and I take the Life Extensions super k about twice a week,5000 d3 every other day,along with omegavia fish oil,coq10,and 40mg Lipitor daily.I find I sleep much sounder when I take the vit k,but I am paranoid to take it and much prefer to take the innovix product..
As a side note the omegavia fish oil is excellant I’ll spare the testimonial. Hi Don – have you read this? https://omegavia.com/how-to-choose-the-right-vitamin-k2-supplement/ I go into details about some misconceptions and risks of existing formulas. First generation anti-coagulants like coumadin/warfarin work by creating a false Vit K deficiency. So adding K1 and K2 to the mix counteracts some of the effects of those medications. So make sure both you and your doctor discuss this. I am generally not in favor of supplementing with K1 because the body recycles K1. So if you ate a salad last week, that is enough K1 to keep you going for a while. Hard to become K1 deficient if you eat any veggies. K2 is a different matter. You need a wide variety of K2. And you need it in the appropriate form. Our bodies need it in the ‘trans’ form. See the article above for an explanation. Current thinking is that K2 under 50 mcg per day will not interfere much with anticoagulant medications. If you are taking a higher dose, discuss with your doctor. PS: glad you’re happy with OmegaVia. Hi Vin, again good article with some nice points. I think multi’s in many cases would be better without Magnesium. Takes up too much space. Just let the consumer know they have to buy it on the side. EXOS multi elite is also good. (EXOS brand is gonna go under Thorne from now on it seems). Hi Nik – I’d prefer if multis COMPLETELY left out magnesium and/or listed it as present at 0%. This is because most people see magnesium listed on the side of the bottle and assume that the need for the mineral has been addressed. They move on, without realizing how deficient most people are and how desperately they may need it. From a marketing perspective NO multi brand/company will suggest the consumer buy magnesium in addition to the multi, for obvious reasons. To get a multi right, you’d need about a dozen pills per day. But who’d buy that? Even then, what’s right on paper, may not be right for you. EXOS is not bad. Still, 6 pills a day. I can think of several improvement I’d make to the formula, but that’s just me…and it would still be inadequate or inappropriate on an individual basis. In an earlier comment here, you mentioned a Trace Minerals Supplent from Pure Encapsulations. My concerns about that product is that it has less than the RDA of Iodine (‘m on a low sodium diet and don’t get much iodine from salt) and the Vanadium level is about 17 times the amount someone gets from a well-balanced diet. Are these valid concerns? I’m having a hard time trying to find trace supplements in reasonable dosages. I can find sources for all major vitamins & minerals along with selenium, iodine & zinc. Do you think it would be a problem not supplementing copper, molybendum, chromium, manganese & boron? Hi Peter – iodine is something many people on low-sodium diets are low in. If it is a concerns, look into seaweed snacks – very popular these days. Or you may always take something like Life Extension’s Sea Iodine. I don’t know if the Vanadium levels in your trace minerals item is a concern – hard to answer that. Pure Encapsulations, I’m sure, have a good explanation and rationale. I take it once or twice a week. What do you think of the new Multi for Men vitamin made by MegaFood? It has all the B’s in the correct form, mixed tocopherols Vitamin E, Vitamin K2 (MK7) and Choline. Only 2 pills per day. I believe it is short on the D3 requirements (only 800 IU) and no Vitamin K2 (MK4). For that, what do you think of Thorne’s new Vitamin D/MK4 product? Of course, magnesium (this multivitamin doesn’t pretend to have a sufficient quantity) and fish oil are still needed. Hi Joe – you had my hopes up when I first saw your comment. I didn’t go through the whole formula, but was already disappointed half a dozen lines through the Supplement Facts panel. The first line was a red flag – beta carotene is NOT Vitamin A. Beta carotene is a precursor to Vit A and some people do not convert it well to Vit A and they just turn orange instead. Yes, Vit D is just enough to prevent deficiency. Bad idea to consider K1 and K2 as one nutritional entity. They are different molecules that do different things. So, when the label tells me ’80 micrograms of K1/K2′, I have no clue how much of each is present. Folate and B12 are in the right form, but in the wrong quantity. I like Thorne’s D3/K2 mix. I actually wrote MegaFood on the K1/K2 breakdown in their formula, and they responded letting me know that it is a 50/50 ratio with 40 mcg of each. I see your point on the rest. I will continue to look for a better formula. Thanks! Vin…..I wish I could take you to the store with me and you could pick out a vitamin regimen. I thoroughly enjoy reading your great information. Thank you. Hi Meg – I wish I could do that with you too! 🙂 There are lots of professional nutritionists who know what they are doing (and unfortunately just as many who’re still caught in the low-fat, high whole grain thinking from the 1990s) who can help you. If I were to go with you to the store to buy your customized vitamins, know that I’d have to spend a few hours REALLY getting to know your diet and lifestyle. Are these worth taking or is it hype? Hi Shameer – most of them don’t hurt. If you are the type to take a ‘greens’ powder, chances are you’ll add it to a green breakfast smoothie with relatively healthy ingredients. While you are doing that, you are not eating pancakes and drinking orange juice. So, are you getting leaner and healthier because of the greens or because you are not eating pancakes/cereal? Some ‘greens’ powders are worth taking. Others are mostly hype. Overall, any behavior that helps you avoid worse behavior is worth looking at. This is why ‘cleanses’ and ‘juicing’ seem to help people. A very good friend of mine lost 20 lbs after he began juicing. I let him enjoy his triumph. While juicing, he’d successfully avoided orange juice, breakfast cereal with skim milk, pancakes, donuts, toast with jam, and bagels. I’m getting worried has I have been taking this while nursing my baby for the past 1 year. Wondering if you could share your insights or point me to online resources that I could research more? Hi Chris – good (and timely) question. Life Extension and Jarrow use the form of B6 called pyridoxal 5’-phosphate or P-5-P, the active form of B6. This is different from Pyridoxine hydrochloride, another (lesser) form of B6 used in cheaper mass-market products like Centrum and One-a-Day. Pyridoxine in cheaper products has been associated with nerve damage, while P-5-P has not. P-5-P has never been shown to cause issues. It turns out Pyridoxine causes some inhibition of P-5-P and that leads to B6 deficiency-like symptoms. Bottom-line: you are taking the good stuff. Stay away from the crappy stuff – you get what you pay for. You are correct, we get what we pay for! Love your products and have been buying more and more of them over the years. I would gladly buy a multi from your company, I’m sure. But for now, I have a question about your preferred source for Vitamin D3, Nutrigold. It’s sourced from Lanolin. I have a daughter who may be either allergic or sensitive to Lanolin as she seems to react badly with lip balms that contain it. Is there a second best choice you’d recommend after Nutrigold? Thanks so much for answering all these questions! Hi Joanne – there’s a vegan D3 made by Doctors Best brand that you might want to try: https://www.amazon.com/Doctors-Best-Vitashine-Regulates-Function/dp/B00E816ROU/ I have not tried this product, but I know (and like) the owners of that company and their products. As for the Lanolin-based Vitamin D, I am not committed to any one brand. Most of them use the same lanolin-derived D3 from New Zealand. Lately, I’ve been using D3 from NOW Foods. What’s really critical is testing your blood levels. Most people are out of the woods if their levels are in the 40 to 60 range. But there are many of us who need it in the 60-80 range before other issues are resolved. If you look at lab tests, it says 30 to 100 is normal range – that’s too wide in my opinion. 30-40 may prevent some deficiency symptoms, but not all. And if you’re at 90 to 100, you could easily experience overdose symptoms, which can be even more miserable. The key with D3 is to get with your doctor and measure. D3 is a hormone – too little and too much can be bad for you. My level was in the high 50s a while back and my doctor wanted it in the high 70s. 5000 IU per day simply did not do the trick. So we went to 20,000 IU per day for a couple of weeks and then backed off. These are things that you need to tackle with a nutritionally-informed doctor and regular blood tests. It takes at least 3 blood tests before most people figure out what their dosage needs to be to maintain a level of 60-80. As for us making a multivitamin…thank you, I appreciate your trust in our products. But…you may have to wait for a while. The only way I could see us doing it is if the product comes in a ‘daily pack’ with 6 to 8 different pills at a cost of about $100 per month. I just don’t think that makes commercial sense. Again, thank you! Great article. I have a few questions. 1. I am surprised you didn’t mention calcium supplementation. What are your thoughts on supplementing calcium? Is it beneficial or waste of money? 2. What are thoughts on the Multivitamin Elite product by Thorne Research (https://www.thorne.com/products/dp/multi-vitamin-elite?affid=ThrnFx1072858)? Curious what your thoughts are? Hi Shameer – calcium supplements may be necessary if diet is poor. If you eat meats cooked with the bone, and if you eat seafood, and vegetables, you should be getting enough calcium. Also, if you consume enough K2, the calcium that’s consumed is put to good use. But so many people take calcium supplements while they are magnesium, D3, and K2 deficient. That’s a total waste. If you take calcium, take it with these other three cofactors. Never take calcium without K2. I’m not a fan of the Thorne multivitamin – not the right form of A, not enough D3, not enough K2 or magnesium and on it goes. The antioxidant study you mention is a publication exercise. The pressure to publish is intense in academia. And real experiments cost big money. It is impossible to get any sort of meaningful takeaway from these meta-analyses. But, boy, the media love them! The input studies looked at the wrong type of A and E. These are fat soluble vitamins that need to be taken in conjunction with D3 and K1 and K2. You need to take A from animal or fish source, D3 (and not D2) at a dose so that your serum levels reaches 50-60 and E needs to have all 4 tocopherols and all 4 tocotrieneols, and the same with K2 complex. Ideally, you need to take 10:1 or 5:1 ratio of A to D. If you establish these factors as the study criteria, you will find a sum total of ZERO STUDIES to feed into your meta-analysis. With meta-analyses, if you start with crap, you end up with crap. And God forbid, if someone establishes health policy bases on this, that’d be crap to the third degree! 1) Fat-solubles are a family. Get them from food or take them all as supplements at the proper ratios. They work synergistically. 2) E is not a single entity, but 8 different ones. 3) K2, likewise, is a spectrum of molecules. 4) Food is better than supplements. Any day. Astaxanthin seems to be the hot new antioxidant of the day. What are your thoughts on this? Any human studies showing this is legit in terms of claims made? Hi Shameer – astaxanthin is popular. There are some fairly good studies on its effect on preventing LDL oxidation and moderating blood lipids, but the studies are small and probably not powerful and compelling enough to make the bold claims you might see. Some of the claims are over interpretation of the science, a result of eager marketers creating a cart-before-the-horse situation. That does not mean the science will not catch up to the label claims. I have been studying supplements for months. I became your fan, after I found your article on Google. Your articles have provided me with a lot of reliable information. Thank you very much! I have one question! I understand that as the weather gets warmer, vitamin D supplements is no longer required when I get plenty of sun exposure. I am not yet sure how to determine the dosage of Vitamin A during periods of sufficient sun exposure without taking Vitamin D supplements. What is your opinion? Hi Jay – thank you. The decision to supplement with Vitamin D3 during summer months depends on HOW MUCH mid-day sun you get, what your blood level is, your skin color, and how much D you consume as a part of your diet. Most people are unable or unwilling to get the right amount of sun exposure. Walking for 10 -15 minutes in the sun with everyday clothes is not enough. You need full body exposure (with beach wear) for 10-15 minutes a day during the middle of the day. No one has time for that! And people who have the time to do that are often not willing to expose themselves to that much ultraviolet radiation because they are concerned about their skin. I have a relative who is an avid golfer and lives in Singapore (near the equator with intense year-round sun) who felt that his regular golfing would sustain his Vitamin D levels. I was skeptical and asked him to get his D level checked. It was 11. That’s seriously deficient. My point is, unless you test your levels, there is no way to know how to address your situation. Talk to your doctor. As for Vitamin A, no harm in taking 10,000 IU daily. Or you can take 50,000 IU once a week. A 10:1 ratio of A to D is generally regarded as optimal, but there is no proof that this ratio needs to be strictly adhered to. Good article. I agree with your assessment that multi-vitamins are shyt. I’ve been taking Magnesium Citrate for the last few years. I started taking it for constipation related to taking tumeric, both of which helped with my IBSD. I really need to take it now because I’m on a ketogenic diet, which makes your kidneys pump out way more water, along with Mg, K, and NaCl (and I suspect zinc) just like a diuretic drug does. Anyways, I’ve researched different types of magnesium supplements out there at a price per mg of usable (absorbable) Mg ratio, and I find that the citrate form still works for me (besides, I still need the laxative effects). However, I would think that a supplement made of “magnesium chloride” would be an extremely high density and a very well absorbed version. But there are none out there (other than topical “oil” crap). Why is that? Would there be an inherent problem with an ingestible MgCl version of the supplement. 1) Magnesium chloride is a fairly strong laxative and it is not well absorbed. This is why you don’t see it being used as supplements. Citrate is well-absorbed and cheap, but it has a laxative effect too. In your case, that works well. If someone cannot afford the more expensive non-laxative ‘organic’ forms, I tell them to take citrate in small doses split up throughout the day. This reduces the chance of unwanted laxative effect. Thank you very much Vin! When the weather is good, I like to exercise for an hour three times a week in short clothes. But as your advice suggests, I should test my levels first. Thanks! And If my level is within the proper range, I don’t need to take vitamin D during the period get of sufficient sun exposure in summer, is this right? So what you mean is that I should take ‘10,000 IU of vitamin A daily or 50,000 IU once a week’ during the period when I do not take vitamin D in summer ? Did I understand your point? Hi Jay – once you get your blood tested for D levels, you should talk to your doctor about what to do next. If it is deficient (very likely at the end of winter and early spring), then you can either supplement and/or get it from sun exposure. Ideally, if it gets cold in the winter where you live, then, it is likely that you need to supplement in the winter and spring. If your blood levels of D is sufficient just from sun exposure by the end of summer, you may not need to supplement during summer and fall/autumn. I may have confused you a bit with the Vitamin A comment. Your body needs Vitamins A, D3, K2 and possibly E in certain loose ratios. You don’t need to take all at the same time, but if you take a lot of D3, then you should consider taking A, K2, and may be Vit E as well because they all work together. These 4 vitamins are called ‘fat soluble vitamins’ and they are dependent on each other. So, if you take a lot of D3 in supplement form or if you get a lot of sun exposure, your diet needs to have adequate A, K2, and E or you will need to supplement with those. Yes, my father in law gave me the “Why I don’t take supplements” lecture (I’m a nurse and I could not function without supplements). About a month later he was dead. At 77. Now maybe YOU haven’t heard that our soils were 40% deficient in minerals in the 1940’s? And the last figure I could find was 1994 and that figure was that the US soils were 85% in minerals. And maybe YOU haven’t heard that the centenarian cultures (about 10 of them – Rare Earths, Forbidden Cures) all shared one serious thing in common, Glacial milk with 60 or more trace minerals. And what do you want to bet very few people even know about them and feweer get them all. And I must urge you to listen to free Youtube lectures Dead Doctors Don’t Lie, Somebody’s Got to Go To Jail! , Dead athletes Don’t Lie, and Black Gene Lies. These are talks by Joel Wallach, DVM, ND. He does his research, is a pathologist and I bet YOU haven’t done 25,000 necropsies and 3000 autopsies to gain your insight. Well he has. He was a pathologist working with NASA monkeys when he discovered cystic fibrosis is NOT a genetic disease, it a selenium deficiency. And he was blackballed for saying so. Don’t bother with his other videos, yhes they are a big bunch of ads for his products, but you know what, he came up with his formulas to simplify things for people who wouldn’t change their diets because it would have been too complicated. I can sympathize. I nag and pester the people I love to quit the soda and quit the boxed and canned and fake foods but do they listen to me? Nooooooo. The best I can do is get them to take vitamins. And they do. And I found a great knockoff of one of wallach’s liquid multivitamins, and I still will have to get his minerals because the market hasn’t come up with much competition there yet. I tried with kelp but it wasn’t dense enough. And my hubby is one of the people I pester the most, because if he dies, he refused to let me finish after my LPN and get my RN. I had ONE semester. And he made me quit. So I can’t afford for him to die. The puny amount of insurance he has for me would not take care of what I would need to do to get my RN after he died. So I need to keep him healthy. Hi and thank you for your info. I understand your reasoning. I checked most of the multis I have been taking and they have been deficient in one or more forms of vitamins. For example, Now Adam only says FOLATE-they do not say which form. Or is that enough to trust it? Was wondering if you know this brand: Emerald Laboratories. Their multi has problems, like the wrong form of K.
Getting single nutrients like B-complex, A and D, Calcium and Magnesium. For examle, Emerald’s B-complex caught my eye–> https://jp.iherb.com/pr/Emerald-Laboratories-B-Healthy-CoEnzymated-60-Vegetable-Caps/69767 because it has the preferred forms of B6 and Folate. It looks better than the Jarrow one you mentioned, but I am not sure. Wonder too what you think of a cal/mag supplant here 4 tabs have 1000 mg of calcium (citrate) and 400 mg of magnesium (aspartate)- and taking two a day (500/200) (this one is Bluebonnet). Are they better alternatives? Last–my heart doctor just prescribed the Japanese equivalent of Lovaza (same exact formula and manufacturer, but here they only do 2 grams, the equivalent of half a US dosage). Since it is cheap on the Japanese health insurance system, I was thinking to take a gram of Omegavia, or if not available here in Japan, 1 gram of Nutrogold triple strength to roughly equal the effect of a full dose of Lovaza. Sorry for the many questions, but hope it might be useful for others as well. Hi Paul – overall, I still stand by my suggestion to take individual supplements instead of multivitamins. But which ones you take depends on your diet and your health goals. Having said that, the B-complex from Emerald health looks acceptable. I generally do not like Cal/Mag combinations because you end up getting insufficient amounts of both. Aim for 400 mg of Magnesium and then supplement with K2 and A to make sure that the calcium in your diet is properly utilized. Since your Omega was prescribed by your doctor, it is best if he/she approves the additional Omegas. One of the hardest things when going from multis to individual nutrients is knowing what is NOT needed. Also, choosing nutrients not in too little or too large quantities and not choosing brands with inflated prices. I had a balloon cateritization 15 years ago with no recurrence, fairly decent diet, baby aspirin, lipitor at the lowest dosage of 5 mg and good blood data for the most part. About 15 percent overweight. Age 66 male living in Japan (so more fish,less red meat, lots of organic veggies.) History of asthma. Until now it has been multis, but I hope I am getting wiser. The vitamin K is something I probably need as I get older (I had spinal compression and a hip replacement recently). Here is my short list. Wonder how rationale it is. I used your article and comments. 2) Vitamins (B-right or Life Extension, which has overall higher amounts, but I think B-right is fine. Concerned that both products have some Pyrodoxine in addition to P-5-P.
Dilemma 2: Do I need to add it. It is always in a multi. I figure about 200-300 is about right? 4) Vitamin D such as 2000 IU D (Nutrigold D3) in the warm months and 2 tabs (4000) IU in the autumn and winter. 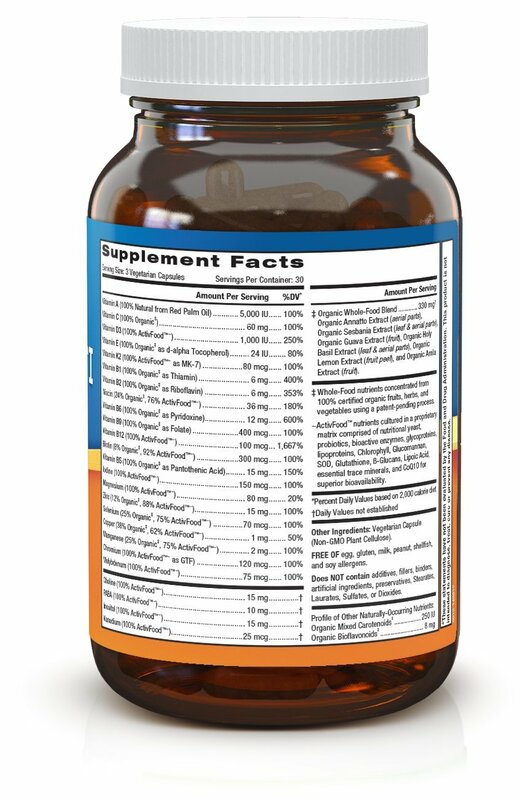 5) Full Spectrum VITAMIN K2 by InnovixLabs if it ships to Japan. (Similar to Life extension, which seem ok but maybe I do not need double the K2- maybe 500 mcg is enough). 6) Magnesium: I have found these. Advanced MAGNESIUM (by InnovixLabs).Highly Bioavailable Bisglycinate + Malate Formula..
Dilemma 3- Do I need to add some kind of calcium? or Bluebonnet (both bisglycinate amino chelate calcium and megnesium glycinate chelated) with the former having 500/200 in 3 capsules and the latter having 200/100 in one tablet, so I would need to take 6 of the first 4 of the second to get at least 400 mcg of magnesium, but do I need 800-1000 calcium? Better to get calcium separately???? 7) Already take prescription fish oil. 8) Some form of vitamins E gamma such as Jarrow toco sorb or the one you recommended above. Dilemma 4: That leaves the question of whether I need to take trace minerals that are normally in a multis. I have found two that look good. with zinc, selenium, copper, manganese, chromium, molbydenum, and postassium, PLUS 250 mg EACH of calcium carbonate and MAG Oxide, citrate and aquamarine. (Which would either conflict or supplement the Cal/Mag in separate s unless I cut down on the Cal/Mag tablets. so get a total of 400 or 500 of Mag. That is what I came with. have no idea if too little or too much (some things not really necessary. Wonder what is rational and what needs to be tweaked. Or should I not get too worked up about differences? Thanks. This should be my last question. Hi Paul – you’re doing a pretty good job putting individual products together. I’d still suggest you work with a dietitian or nutritionist to nail down your items due to your health history. I like the Pure Encapsulations trace minerals. I’ve been taking those a couple of times a week. I like the Jarrow B complex. Start small with K2 and go up on dose if you react well. How much D3 you need depends on your sun exposure and blood levels. Be sure to add some Prebiotic fiber to the mix. 1) For that reason, I will buy the 2000 IUs from Nutrigold since I can easily go up or down by season. 3) Jarrow B-Light? so I should not be concerned that it has both Pyridoxine and P-5-P? Ok.
4) Not sure why you mentioned Probiotics? I eat lots of veggies. And I eat whole grains and not super high fat. Something generally recommended? Or misunderstanding? 5) Last want to check on Calcium. If I take 400 mcg of Max, the old wisdom of needing 800 of calcium is not true anymore? Any minimum amount you would recommend. Now to see if Innovix ships to Japan. Hi Paul – there are many licensed dietitians and integrative medical practitioners here in the US who consult via Skype and other such technologies. I recommend this to many people when I’m traveling through Asia. Your product choices seem fine to me – I’ve taken all of them before. 400 mg of calcium is adequate if you take K2 and magnesium and assuming your diet is fairly good. I did not mention Probiotics. I mentioned PREbiotics. It is a fiber that acts as food to probiotics. One thing that’s become clear in the last 10 years is that most aspects of health are somehow connected to the health of the gut microbiome. Nurturing the gut is key. Looks like Innovix does not ship to Japan, which means I cannot get the Vitamin K I guess or the Fish Oil. Maybe I will have to find similar products (Life Extension/Nutrigold) or perhaps there is some way to order from Japan. Hi Paul – our customer service team will contact you shortly to find a way to make this happen. There are regulatory issues in Japan that prevent easy commerce in bulk quantities, but we may be able to find a solution. I just got an email from the company. With Iherb most supplements except a few like Melatonin and hormones and some food products are ok. The shipping lets you know if you are over the tax free amount, which is somewhere in the area of 140 US dollar equivalent. So keeping the orders small matters. (i herb manages to do free shipping to japan so if you get added to iherb it would increase your visibility here. So let me send a small order as a kind of Guinea pig. I will post here how it goes. Thanks, Paul. Keep us posted. All arrived with no problem!!!! Thank you very much! Thanks for keeping us posted, Paul. Glad it arrived in Japan with no issues. My last question, Vin. Now that I have everything, I wonder if this is ok. Does anything preferably have to be together? My plan for after my current multi runs out next week. Thanks for any advice on best combinations…. Hi Paul – this sounds well planned. Although I am not convinced that you need calcium daily, but that depends on your diet. I’d move the calcium to the morning and keep just the Magnesium at night. Thanks, Vin. Appreciate the advice. Also thinking about your advice that taking “Vitamin D without A and K2 is a bad idea, ” because they all work together. So am thinking that since I eat more than a quart of plain fuel fat yogurt a week, and since I had an angioplasty in 2002, I should maybe avoid too much calcium supplements. Then I came up with this idea, Do you think it is rationale? 1a) UNTIL NOW I took NOW Adam with only 80 mcg of mixed K1 and K2. 1b) I NOW take Full SPECTRUM K2 (1 capsule) but thinking to up to two because of previous angioplasty. So 1000 mcg of MK-4 daily because of the previous angioplasty. At age 66 doctor says there is the beginning of recurrence of lack of plasticity though numbers are still good with aspirin and statin. Before I took cal/mag from bluebonnet (2 capsules 1000 cal citrate and 400 mag aspartrate). Since I have a lot of tablets left, I thought instead of just tossing and taking NO calcium that I go from BEFORE TO AFTER. Is it rationale? Or just tossing the bluebonnet is a better idea? Or is it better to take only the innovix Mag and toss the cal/mag from Bluebonnet? Thanks.. the more I read the more questions I have. Sorry about that. Hi Paul – your Plan 1b sounds better. I have been taking two Full Spectrum K2 daily. Instead of tossing the bottle of Cal/Mag, perhaps take a couple of those pills a week until you’ve used them all up. When you’re taking calcium, you may need a little more magnesium. A and D3 looks OK. I have some questions about how to store supplements. I read on Google that ‘store in a cool, dry place ‘ this doesn’t mean refrigerator. This because If the outside moisture comes into contact with a cold object, condensation may increase the humidity. What about softgels like vitamin D or fish oil? I’m taking some softgels – Vitamin A,D,K and fish oil. I live in a hot area, and if I don’t run the air conditioning, the temperature in my bedroom is about 30 degrees, and the humidity is over 75 percent. When I put them in the bedroom, I found that softges would stick together. So every time I took, I had to shake the bottel and separate them. But when I started to store them in the refrigerator, I didn’t have to shake. But recently, reading some of the articles made me question about store them in the refrigerator. Hi Jay – ‘cool, dry place’ usually means that a non-refrigerated medicine cabinet is fine. We tell our customers that if they do not intend to use a bottle of fish oil supplements for a few months, they may store in refrigerator or freezer. The issue with storing it cold for everyday use is that each time you open the bottle for taking a few pills out, some condensation settles on the outside of the capsule. This may have a negative impact on the product. However, if you live in a high-humidity region, then keeping the pills outside the refrigerator may cause some issues too. In your case, you may be better off with the product in the fridge. 1. Continue with the magnesium, but add 200mg. of citrate to offset the constipation. For a total of 400 mg of magnesium a day, hoping it will help with sleep. 2. Increase Vit. D3 to 5000 IU a day in order to get my Vit. D level up to around 60. I plan to have it tested again in a couple months. 3. Omegavia Fish Oil, just ordered it. Take 1000 unopposed EPA a day. 5. Vit. K2, Innovix Labs Full Spectrum, the one you recommend. You say to start low, and go up…to what? 7. Pure Encapsulations Trace Minerals. You recommend taking only twice a week. I’m thinking of adding the Mood Probiotic to help with my generalized anxiety disorder. Is this about right? When should I take them? Are some meant to take in the evening, like the magnesium? It seems like a lot, but after much studying my diet and lifestyle, seems about right. Hi Roxanne – glad you found the article useful. 1. 2000 IU of Vitamin D3 in the winter time is inadequate. I’d go with 4000-5000 IU per day in the Fall/Winter and down to 2000 IU in Spring and Summer, depending on how much sun you get in the summer. 2. And sun may have something to do with your sleep quality. Get a LOT of direct bright sun exposure without shades in the first few hours of the day. Do not eat/drink after dark and do not expose yourself to bright lights or screen (phone/TV/iPad) etc after dark. Do all your eating during daylight hours. 4. You’re fine on the Vits A, D, K2, and E. Take 1 K2 per day. If you have high coronary calcium score or are concerned about arterial calcification, go up to two K2 capsules a day. I’d take the D3 and B-vitamins in the morning. The rest is not important, as long as it is with a meal. Take Magnesium at night or with dinner. Perhaps consider Collages as well. I like Vital Proteins. I think you’re doing well so far. Just remember that no one approach will work for everyone and foods are always better than pills. If you can talk yourself into eating grass-fed liver, you’d be in good shape. Thanks for the previous info. I found that having even 8 bottles of stuff (your vitamin K2, b right, famil E, occasional trace minerals, magnesium, etc. became confusing. Do started looking at Life Extension 2 capsules. The ratio of pyrododixine to P5P seems even less than B right- 65mg to 10mg. 5 mg pyrodoxine and 100 mg (!!!!!!) P5P. I figured with a multi i could fill in the gaps with extra k2, D and 8-possibly E. Still would be too many pills but most would be from the same bottle. One other point. Many of the vitamins sold at Iherb with P5P and Quatrefolic or similar ( L-5-methyltetrahydrofolate calcium salt, etc.) seem to be sold out. Is it a coincidence or is there suddenly a demand for these newer forms and the manufacturers can’t keep up? Yes, too much of the herbs. Meanwhile I did find this in 4 capsules. If Herb adds it it would be great. B6 P-5-P 50 mg and (6S)-5 Methyltetrahydrofolate 400mcg. I can top off with some fish oil and Vitamin D. Not sure if their 10 mg of Full spectrum tocopherols and tocotrienals needs boosting. They have 100 mg. of Bisglycinate Mag so I could top off. Still would not require as many bottles. Vin, Thank you for the proper formulation of Innovix K2. It has been an exhaustive search safari getting to your website. Unfortunately the nutritional supplement industry as a whole has become an obstacle to getting good information and supplement products. There are many companies dispensing false information and stand at the ready to take your money. Thanks for your research and your formulations. Hi Peter – glad you found the information here useful. The US supplement industry has issues. No doubt. There are several levels of issues – the biggest and worst offenders are sellers of weight loss, body building, and sexual enhancement pills. These three subcategories of supplements are often the most blatant offenders of science, ethics, and law. The next, less egregious, level of offenders are the smaller, internet brands who sell mainstream stuff like Curcumin, fish oil, or Vitamin D, but are not as buttoned up with testing and documentation regulations. Fortunately, for Vitamin K2, most of the players appear to be following basic regulations. The issue with Vitamin K2 is the widespread and self-serving messaging that MK-7 is the only form of K2 that is necessary or that MK-7 is superior to MK-4 and the other forms of K2 because it has a longer half-life in the blood. That is simply not the case. Vitamin K2 is a group of similar compounds and MK-4 has slightly different function than MK-7, simply by how the body transports and stores each. I was told by my doctor that I needed to give my daughter concentrated fish oil...I am happy to say that my daughter is doing much better since.